The first step in any UX process is to get to know the users. When you’re starting a project from scratch or moving into a new market, you may not have any experience with your users. Ethnographic research allows you to delve into who your users are and the environments in which they operate. It gives great insight into that way that users will interact with your product. There are specific challenges associated with ethnographic research; the main challenge being that it’s not a quantitative process. You don’t get lots of neat numbers, graphs and figures at the end. Instead it’s a qualitative process and that means producing lots of unruly data that’s hard to summarize. It can also be difficult not to let bias creep into the research process, our own understanding of something can bring a lack of objectivity. When you build your research team, you want to spend a bit of time on ensuring the diversity of the team. It’s a good idea to choose a team from a variety of disciplines as opposed to those with a specific background. You want input from the client, from the designers, from the developers and of course, from the researchers themselves. Ideally, you also want to vary the ethnic, gender, etc. backgrounds of your team too. It has been shown repeatedly in research that different life experiences within teams helps them produce better results than those teams drawn from a homogenous life experience background. This effect is so powerful that even when the homogenous team has been chosen based on high-intelligence and past achievements, it will not normally be able to produce better results than a diverse team with no such considerations. In real life there are people who are glass half-empty types, then there are glass half-full types, and rarely there are people who drink the contents of the glass and then blame its being empty on someone else. Each of those people are likely to experience something differently. They may have many things in common, which is why they are included in your research, but that single attribute of their personality may override all common ground. You need to delve into the individual and understand them to better understand their contribution to your research. Don’t assume that all members of your target audience see through the same lens. Good research begins by developing a relationship with the subject. You need to develop a level of rapport and show some empathy and understanding with that person. When they feel comfortable with you, they are much more likely to feel comfortable with participating in the process. Take time to introduce yourself, explain what’s going to happen and invite questions from the start. Try to illustrate through the process that what the person is saying/doing is important and of value to you. Most researchers are going to be clever people. This leads to a natural tendency of assuming that they can explain what they see or hear. This is a bad way to conduct research. No matter how bright your team are – they’re not the subject. Instead of standing in the subject’s shoes and trying to talk for them – they need to help the subject explain what’s going on. 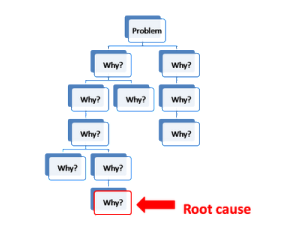 A simple model for this is the “seven whys”. Each time you ask “why” you get someone to re-evaluate their position and dig a little deeper into their own reasoning. It can seem odd to keep asking “why” at first but it brings great insights. The UX of any product isn’t just about the person’s preferences. It’s also about the environment in which that product may be used. If somebody spends their life wearing thick rubber gloves, it may be that your sophisticated touch screen interface isn’t going to work very well for them. Learn to video ethnographic research. You can then go back and look at things like body language, the environmental interactions that may govern a response, etc. The easiest way to introduce bias into your research is to have a solution in mind. It will guide your questioning, your observation, etc. and often without you realizing it. It is much better to conduct the research first and once it has finished use the data you’ve gained to develop solutions. That doesn’t mean that you can’t introduce solutions in ethnographic research (user testing is important after all) but it does mean introducing those ideas at an appropriate time once you’ve had a chance to observe without bias. When you begin analysing your research; it’s a good idea for everyone to come up with ideas separately to start with. You can write these on Post-It Notes and then stick them to the wall. Then you can group common ideas easily and examine them as a team. What are the reasons for the insights from each member? Are they drawn on the same data? If not, do the differing data points still make sense when compared against the other? The review process is where the ideas for your solutions should be coming from. Don’t be afraid to take multiple passes at it. Don’t be afraid to mix up participants either. 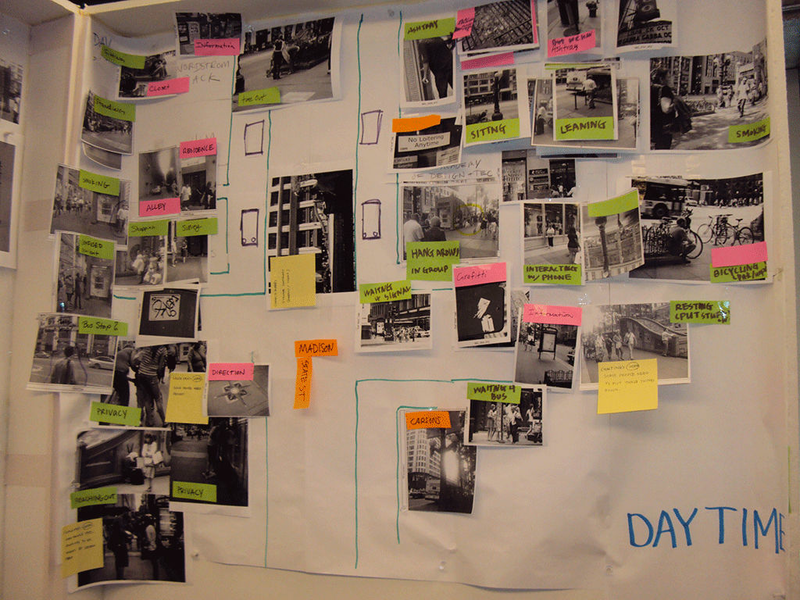 Ethnographic research can add huge value to the UX design process in some cases. It’s important to focus on your subjects and truly listen to and understand them rather than concentrating on your expected outputs from the process. You need to be aware of potential sources of bias and take care to eliminate them. You also want as diverse a team as possible to get the best insights.